Greg Gossel was born in Baldwin, Wisconsin in 1982. He pursued an education at the University of Wisconsin-Eau Claire, where he graduated with a Bachelor of Fine Arts degree in graphic design. In December 2005, Greg moved to Minneapolis, where currently works as a graphic designer. 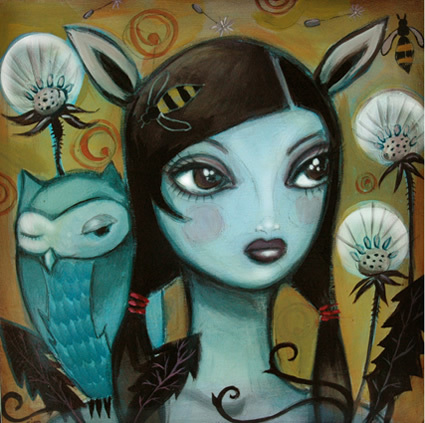 In addition to design, he is also dedicated to his personal work, and has been exhibiting his fine art nationally for the past two years. Nice job on the Expressions, you have Real Life issues revealed. 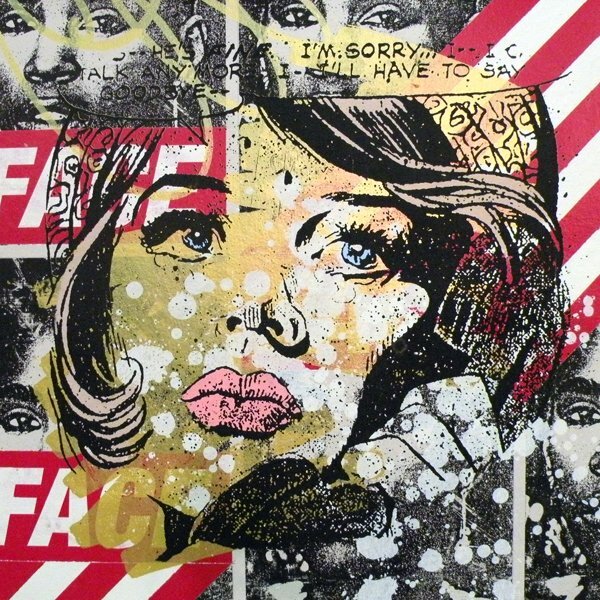 I can see the similarity to Faile but the tone of Greg's work is utterly different. 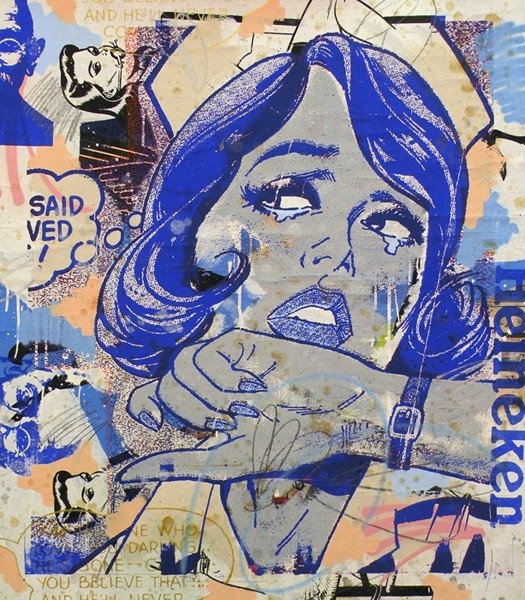 I much prefer the iconic images of Greg Gossel's works, I find them to have a certain depth that is not overwhelming like some of Faile's work. 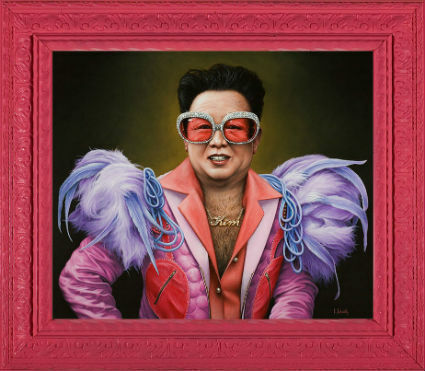 Maybe he is inspired by Faile, but Gossel is much less narcissistic in his works which to me is the reason that he stands out as much as he does. His works are truly inspirational. Hmm, while aesthetically these are interesting, they do resemble Faile quite a bit. They are still good pieces though! geezum, enough with the "Faile-lite" comments. do people think they're being original when they say that? especially love the folks that seem to think Faile invented collage. I love 'em, but don't think to say "Mimmo Rotella-lite" when their work appears. I usually never read the comments, but today I did. There was a comment from Joe stating that the art work from this gentlemen was strikingly similar to the artist Faile. I am not familiar with either one, but I checked it out and wow......he's got a point. Interesting I say!!!! Yeah, but is this any more a rip-off of Faile than Faile is a rip off of Lichtenstein or Lichtenstein is a rip off of original comic book artists? These look like exactly the same type of images that Lichtenstein stole from the comics.